Located in the Carolina Dunes. 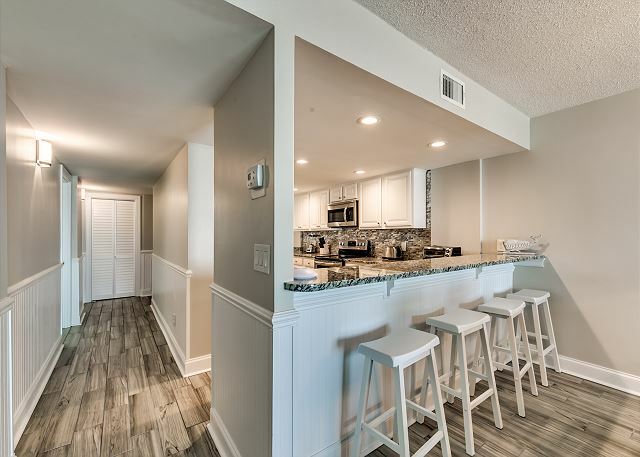 This condo has been completely renovated and features new cabinets in both bathrooms and kitchen with granite countertops, new plank tile flooring, new furniture throughout and new paint throughout. 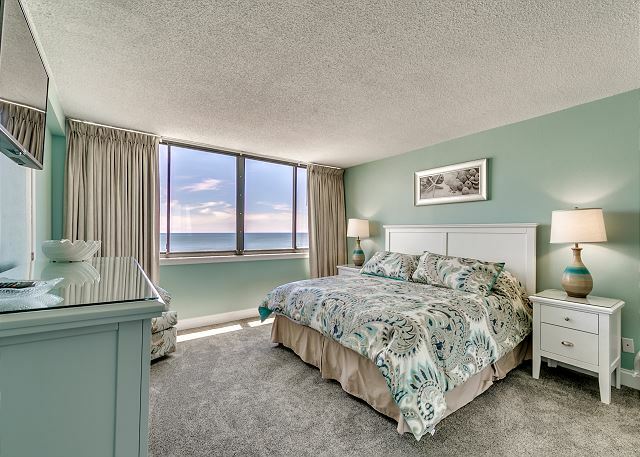 Enjoy beautiful views of the ocean from the oversized balcony of this updated 3 bedroom 2 bathroom condo! 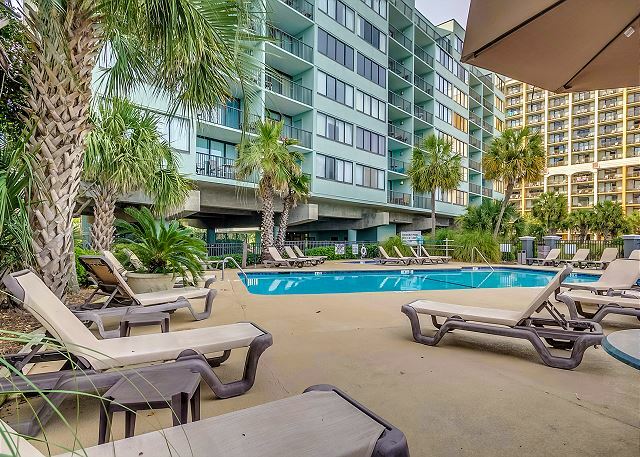 You will feel right at home with its large open kitchen, flat screen TVs, full sized washer and dryer, spacious living room giving plenty of room for you and your guests to enjoy your Myrtle Beach vacation. 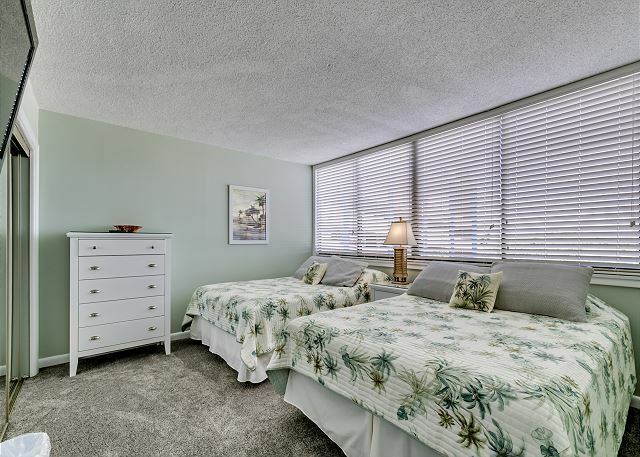 This beautifully updated condo has a king bed in the master along with a full bath, second bedroom offers two twin size beds, third bedroom has two queen size beds and the living room provides a queen sleeper sofa. 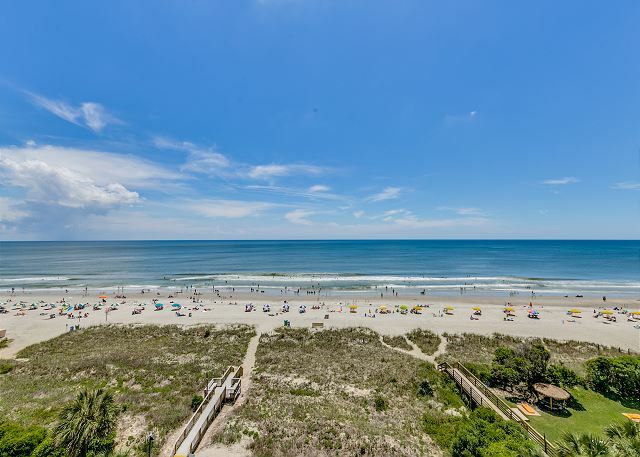 The Carolina Dunes is located in the prestigious Golden Mile section of Myrtle Beach, known for being centrally located to all the Myrtle Beach attractions, shopping, restaurants and entertainment. 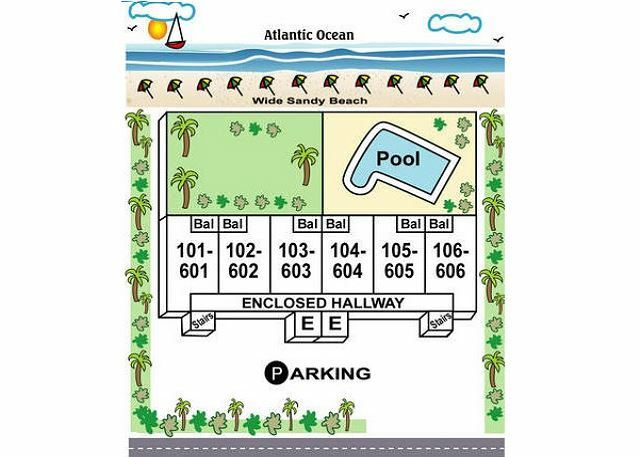 The Carolina Dunes also offers a Large outdoor pool and sunning deck with tables, umbrellas and chairs kiddie pool, courtyard, private walkway to the beach, outdoor showers, lobby, luggage carts, free wifi and onsite parking. To the owners of CD 606 all I can say is "well done"! We thoroughly enjoyed our late October visit. Great location with many nearby amenities. From start to finish, a seamless experience. Location, location location. The property is lovely and very accommodating. We will definitely return. Our stay at the Carolina Dunes was fantastic. The condo is updated and clean. It’s the perfect walk to the beach and the pool was great. 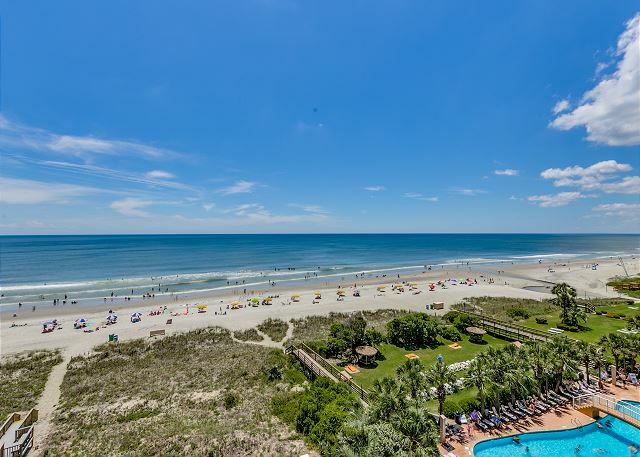 Will definitely stay again next time we are in Myrtle Breach! I was extremely pleased with the cleanliness and modern look of this Unit. 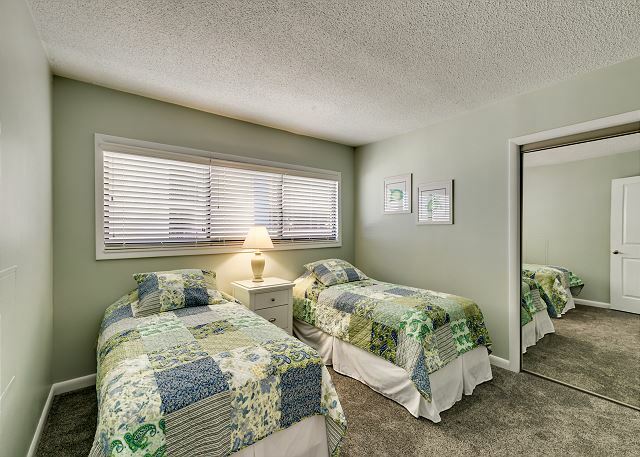 The sleeping arrangements in two of the bedrooms was interesting (2 queens / 2 twins), but it might make more sense to other families with more kids. The furnishings were nice and the balcony was good size with a newer table and 4 comfortable chairs. The elevator situation (which can be an issue with beach condos) was never a problem. No long waits. Overall, this was perfect for our family! 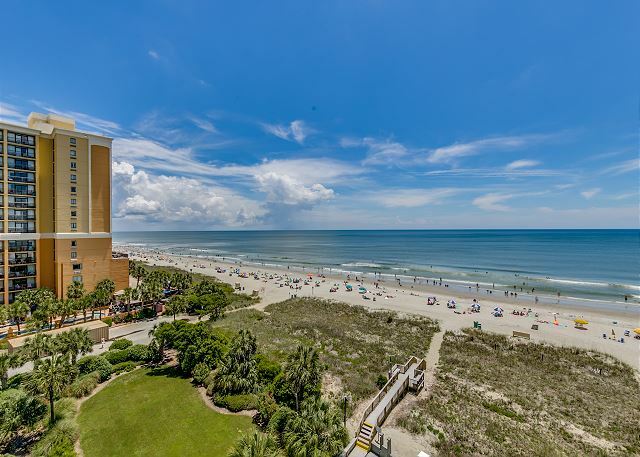 If we travel back to Myrtle Beach, we would definitely stay here again. 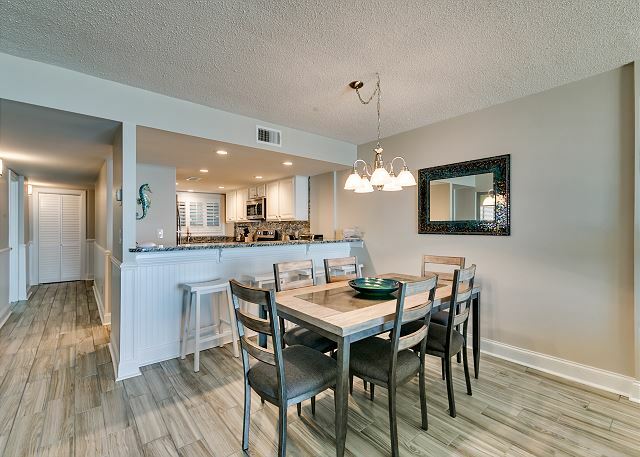 Carolina Dunes #606 is a beautifully decorated condo. Kitchen is well equipped. Balcony furniture is great. Great views. Great condo. This is our second year staying. The only complaint is the master bedroom king bed is so hard. It needs to be replaced. Loved everything else. I was hoping this place lived up to the photos, and it did. 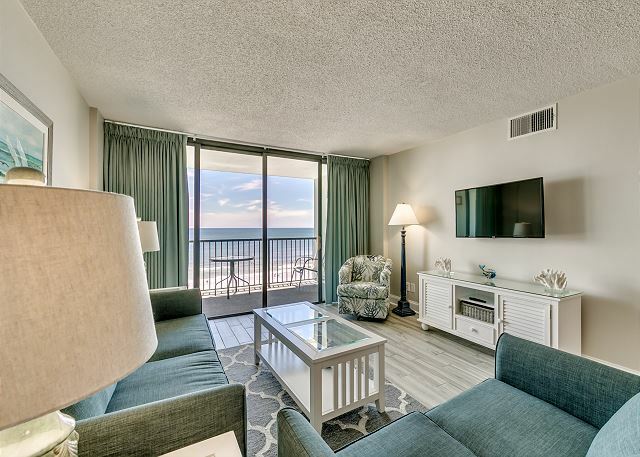 We rented unit 606 for our family vacation and we were SO pleased! 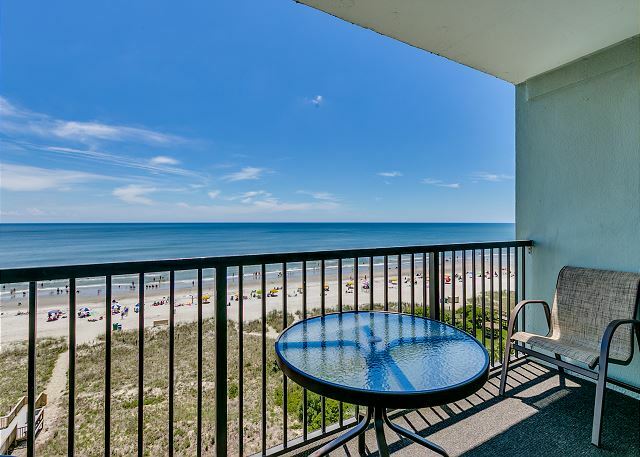 It was clean, spacious, and in a quiet area close enough to everything Myrtle Beach has to offer, yet far enough away from the noise. The unit was equipped with everything you need, from pots and pans, to wine glasses and silverware. We cannot WAIT to stay here again. We are already looking forward to booking again for next year! 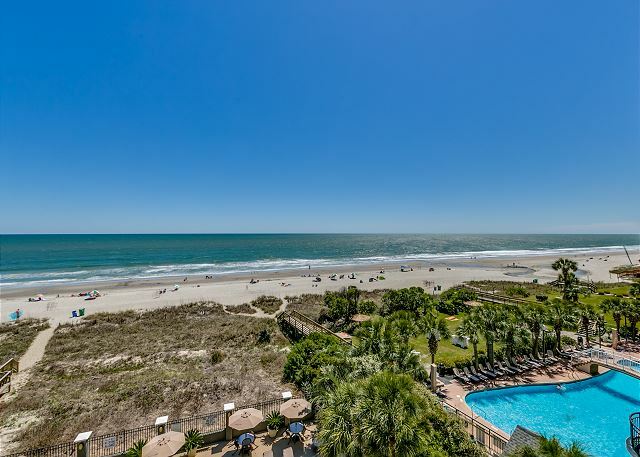 Carolina dunes is a great modern furnished Oceanside condo. We lord our stay there. Close to all restaurants and parks Great shopping close also. Looking forward to go back next year. Visited for a 60th birthday and the place was amazing. Great location and the beach is literally steps away. 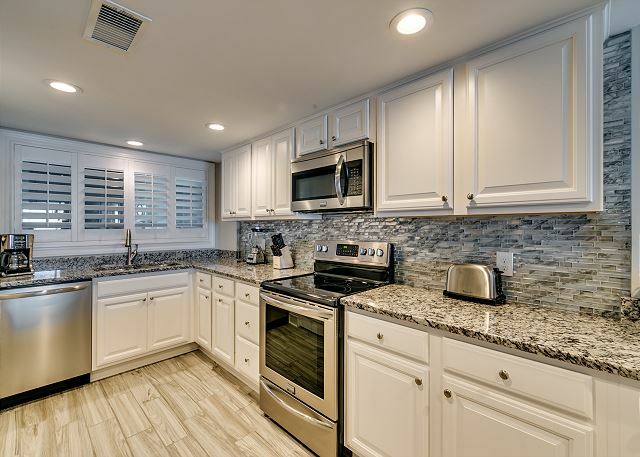 The unit itself is gorgeous — granite counter tops and stainless steel appliances. We visited during the off season, but would highly recommend for a winter getaway. Very affordable, less tourists and the weather isn’t bad. Three bedroom, two bath. Very clean and spacious unit. I did not realize it was an outside unit but it was safe. My only complaint is th third bedroom was always cold because it was facing the door. We tried turning up the heat and covering the windows but it was still too cold. Other than that, I really liked the unit. We had a wonderful vacation in a very beautiful and spacious condo with breathtaking views of the ocean. It was the perfect location and had everything we needed to enjoy our stay. Looking forward to our next visit. Absolutely the best place to stay with grand kids. 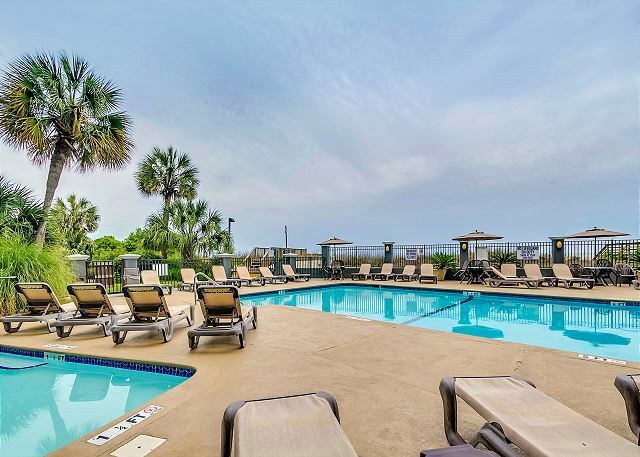 Always busy and having fun at the beach & pool during the day, then evenings at Broadway at the Beach for dinner and of course The Boardwalk for games & treats! We had a wonderful time in our Carolina Dunes condo. It was everything we expected with no surprises! 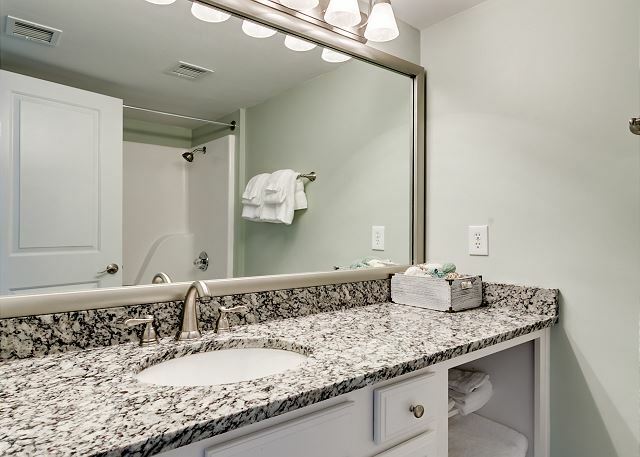 Very clean and spacious, plenty of space to store our belongings and all the amenities we needed at our finger tips. 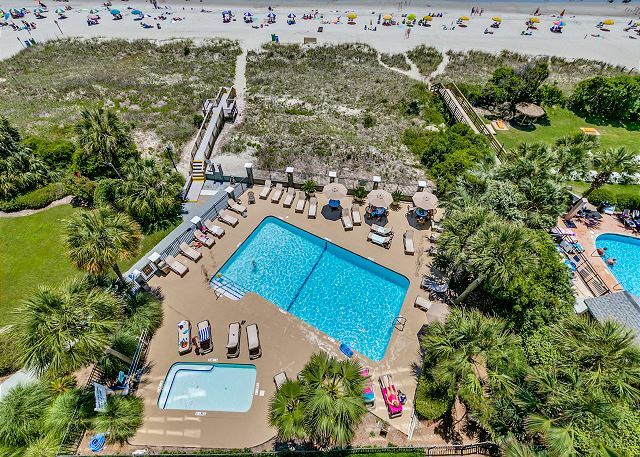 The pool was the favorite part for our kids and we loved the easy beach access. Would definitely stay here again. 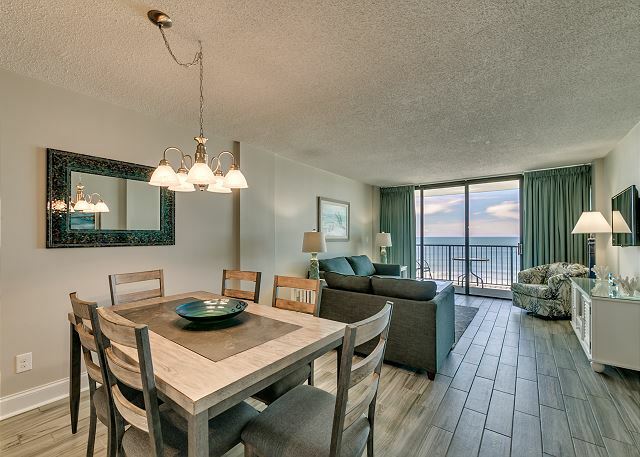 The condo appeared to be newly renovated and was beautifully decorated in a beach theme. No issues. Only negative is the small dryer takes a very long time to dry beach towels. Our family of five enjoyed the clean and beautifully decorated condo! Have stayed here before and will return in the future. Arrived on a Friday afternoon and was immediately impressed by the interior of the unit we stayed in, Number 606. 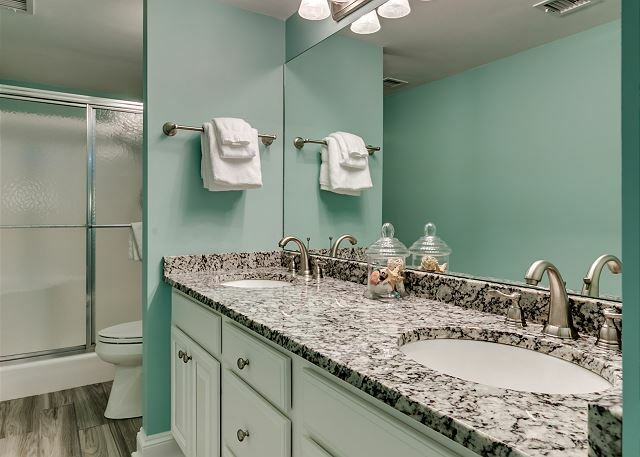 Beautifully renovated, all the needed amenities e,g, personal toiletries, toilet paper, linens, and kitchen ware. 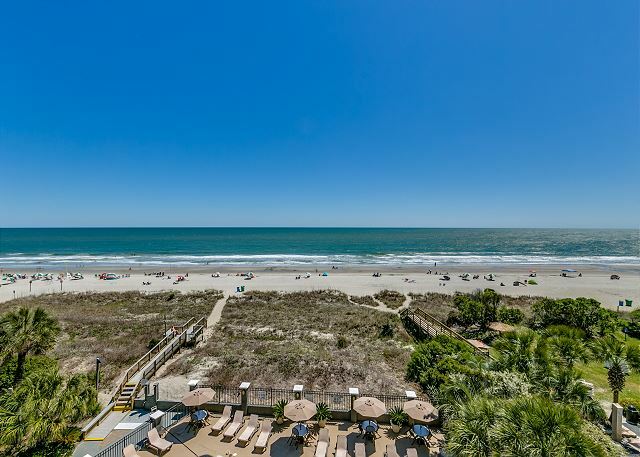 Plus, right on the beach. Great location also making it so close to restaurants in the area. What's not to love? My stay was amazing. The condo was very clean and contained everything that my family needed for a wonderful Christmas stay. 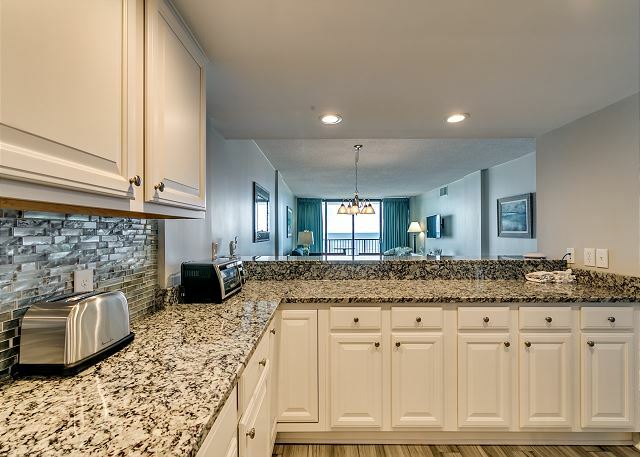 We were absolutely pleased with the refurbished unit at Carolina Dunes with one minor exception, the one TV in the bedroom with the two queen beds did not work properly from the time that we got there. However, we were not there to watch tv so it was a minor inconvenience for my family. Everything was absolutely perfect. It was wonderful to find that the condo was exactly as depicted in the pictures. It was spacious, clean, beautifully decorated and fully equipped with everything we needed. Love the no hassle check-in and keyless door! Will definitely return. Everything as described. We will return. Very Clean and newly remolded. Great view. No problems here. We planned a last minute, short family with 5 adults and 5 children. I found the condo on VRBO and I called the number listed of the property managers for a better rate. The gentleman was very helpful and the reservation process was all very smooth. The condo was beautiful and newly remodeled. It was VERY clean and had the beautiful ocean decor. The condo had a great open concept with plenty of room for everybody to spread out. The 3 spaced-out bedrooms gave the families enough space for privacy with plenty of closet space and storage. The kitchen was nicely updated and stocked with the basic necessities. It had plenty of counter space for food preparation, a ton of pantry space, and cupboard space for whatever you would need. The kitchen bar was perfect for the kids while the adults were able to sit at the table. The view of the ocean was perfect and it was a great view of the pool below. The balcony had nice metal outdoor patio furniture, not the cheap plastic chairs. Again, very nice couldn't have been happier!! I would like to offer a couple of suggestions: a drying rack for the kitchen, putting the LG "Smart tv" in the main seating area so that in the evening a family has a few more options for entertainment other than cable, and possibly a DVD player. The condo was great, the weather was perfect, and it a perfect time away! We look forward to making another visit in the future! This place is great. Just remodeled, so all new everything - floors, carpet, appliances, countertops, and I assume furniture and beds. Looked brand new. Great layout. 6th floor nice, and an end unit, so cuts down on noise. Balcony nice, view from both Master bed and living room superb. Don't know how you could do better.